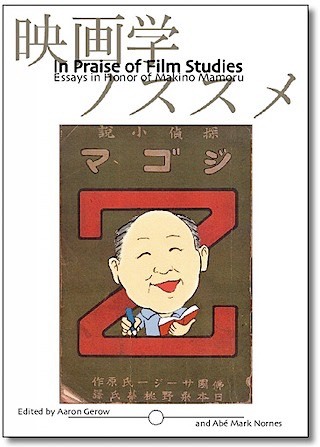 A unique and somewhat peculiar book collecting essays written in either English or Japanese in honor of Makino Mamoru, a Japanese film scholar and collector whose research and mentorship has helped so many of us movie researchers. It also contains translations of some of his representative articles on such topics as film censorship and left-wing film movements and a bibliography of his work. More information, including the full text of the introduction, is available on the Trafford Publishing website. You can also access the full text of the entire book on Google Books.